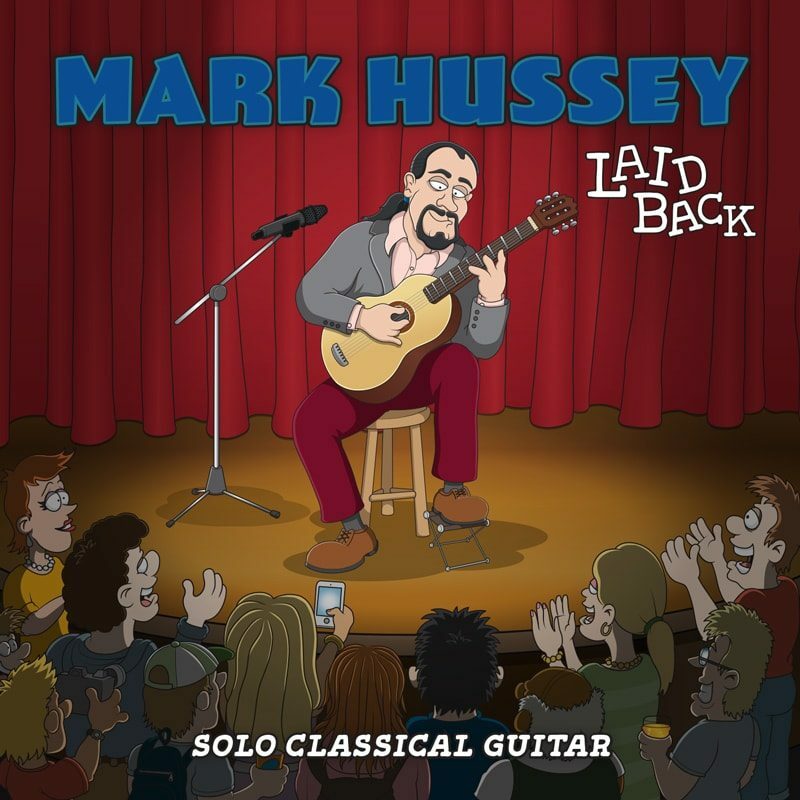 This was a design for a new classical guitar album by blues guitarist and musician, Mark Hussey. He approached me to create a fun and colourful sleeve for his latest classical guitar album, ‘Laid Back’. This piece was incredibly fun to create with many different characters and people in the crowd, all eagerly watching his performance. Also accompanying Mark on the reverse of his guitar album were a group of cheeky little cartoon rats, making a quick getaway with his guitar!